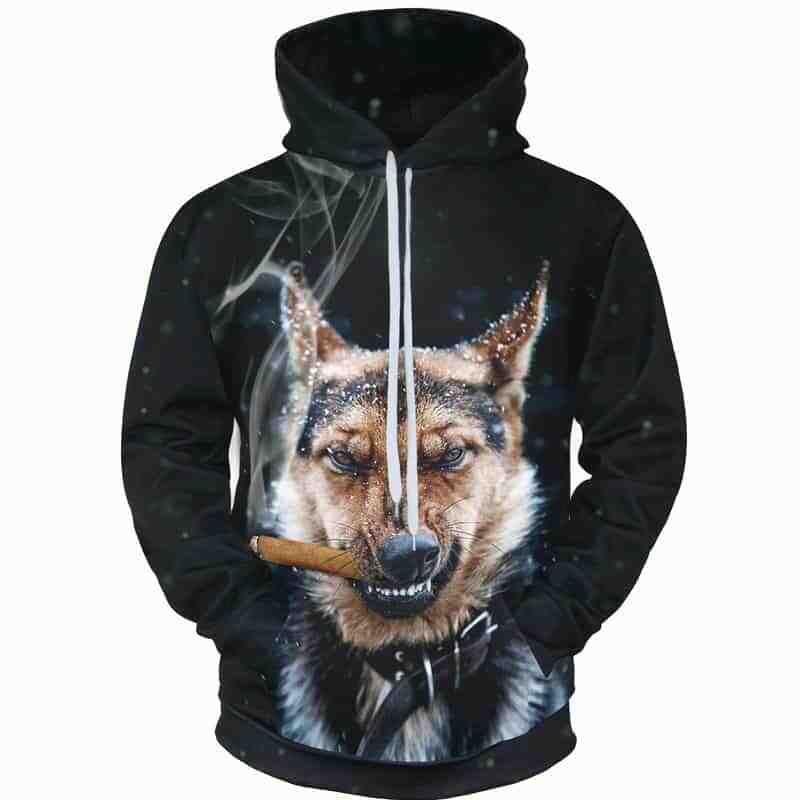 A cool concept of a Smoking German Sheppard Hoodie. The Alsatian Dog has a cigar in his mouth with a sly look to him. The Smoking German Dog Hoodie is primarily a black sweatshirt. The hoodie is comfortable to wear, looks fashionable and is wearable anywhere. It was designed for both male and female.